Mediums are, by definition, clairvoyant, or psychic. The information they receive from the spiritual dimension can cover a wide variety of issues and be related to the past, present, or future. If you could talk to God/Spirit/Your Higher Self, what would you ask? Do you yearn for a message from a deceased loved one? Do you suspect a past life is impacting you in the present? Are you having health or emotional difficulties? Is there a negative energy cord into one of your chakras? Are you curious about possible spirit guides, or whether your Third Eye is open or closed and to what degree? Mediumship is closely related to channeling. The terms channel and medium mean essentially the same thing, although some people believe channels give their bodies and consciousness over completely and allow spiritual beings to speak through them—whereas, mediums receive and transmit messages, while retaining conscious awareness of their human personality. Both channels and mediums enter into a trance state, which can be deep, light, or anywhere in between. Mediums have the ability to receive impressions from the spiritual dimensions, including hearing a spirit speak (clairaudience), seeing a vision (clairvoyance), smelling an unusual smell, or simply sensing something (clairsentience). Similar to other mediums, I work with several spirit guides. Energy from these beings comes in through my crown chakra as a ray of radiant divine light, bringing with it information, often in the form of pictures, but sometimes as words or sensations. Often, I can tell which guide is speaking based on the color of the light reflected by the guide. Spirit guides protect and inspire human beings. They communicate with us during meditation and also during the dream state. They might be angels, archangels, ascended masters, saints, deceased family members, animals, and even extraterrestrials. Spirit guides provide advice and information, but they do not tell us what to do because they are not allowed to interfere with human free will. Jessica Bryan was certified as a lay minister and magnetic healer in 1995 at the Faith in God Spiritual Church, Pangasinan Province, Philippines. 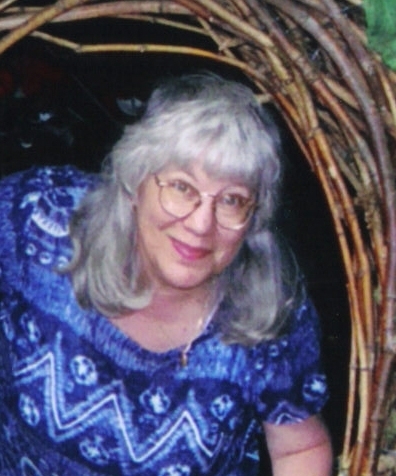 She does clairvoyant readings long-distance and at her office in Southern Oregon. Energy healing is available in person only. In addition to her work as a Spiritual Medium, Jessica is a freelance editor, specializing in spiritual, metaphysical, self-help, and alternative medicine books. She is the author of "Psychic Surgery and Faith Healing: Revised Edition," "Mediumship and the Flow of Grace," "Rev. Ramon "Jun" Labo, Jr.: Psychic Surgery and the Metaphysical Temple of the Universe and School of Mediumship," "The Wisdom of Hilarion," and "Love is Ageless: Stories About Alzheimer’s Disease ." Only a credit card is necessary to make a donation using PayPal. Please include your full name, the city and country where you live, your age, and a brief description of what you need help with. Jessica is also an experienced editor, specializing in spiritual, metaphysical, alternative health care, self-help, and memoir. The information on this website is for educational purposes only. Please consult your doctor or other health care practitioner for treatment of any actual or suspected illness.